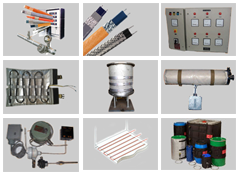 Hopper Heating Systems, Flexible Heating Jackets, Heat Tracing Accessories, Heat Tracer Cables, Vent Filter Heat Kits, Dealer, Distributor, Supplier, Pune, Maharashtra, Ahmedabad, Gandhinagar, Vadodara, Bhuj, Kutch, Rajkot, Jamnagar, Trichy, Indore, Bhopal, Andhra Pradesh, Madhya Pradesh, Telangana, Visakhapatnam, Hyderabad, Gwalior, Chhattisgarh, India. Office Address : Flat No. 2B, Second Floor, Ashirwad-Sonai Bldg., Indira Nagar, Chinchwad, Pune - 411033, Maharashtra, India.